When preparing for twins, it is easy to find advice on what types of gear to buy or how to feed multiples efficiently. However, there are plenty of things that new parents of multiples are not being prepared for such as the fact that their babies are likely to be born prematurely. 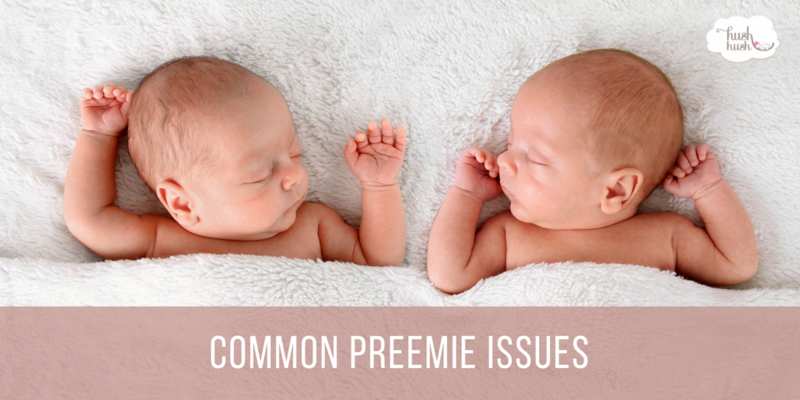 There are a variety of complications that arise from being a “preemie” and those complications can be quite terrifying if you don’t know they are not irregular or how to handle them. Keep reading to learn more about these common preemie issues which can help better prepare you for the arrival of your baby. One of the most concerning preemie issues is apnea. Apnea is defined as any pause in breathing that lasts longer than twenty seconds. Since your baby is not breathing during those twenty seconds or more, their oxygen levels can drop considerably. It is easy to see why this condition is scary for parents as it means that at any moment your child may stop breathing. This can be especially frightening during the middle of the night. As a result, it is recommended that newborns with apnea have a specially designed overnight monitor to alert you if there is a problem during the evening. One typical complication that can result from apnea is called bradycardia. Simply put bradycardia is defined by Mayo Clinic as a slowed heart rate of fewer than 80 beats per minute. Apnea and bradycardia are two preemie issues that are usually seen together and may be referred to as desaturation or “desat” in the medical community. Much like apnea, bradycardia needs to be monitored carefully so that intervention can be done promptly if needed. While Jaundice is common in all newborns, those born prematurely are even more susceptible making it one of the most typical preemie issues. Jaundice occurs when a baby’s bilirubin elevates causing yellowing of the skin as well as the whites of the eyes. Extremely high levels of bilirubin can cause brain damage because it is a neurotoxin and in very rare circumstances, may require your baby to have a blood transfusion. However, it is more likely to be treated by placing the child under special lights that help to eliminate bilirubin in the body.